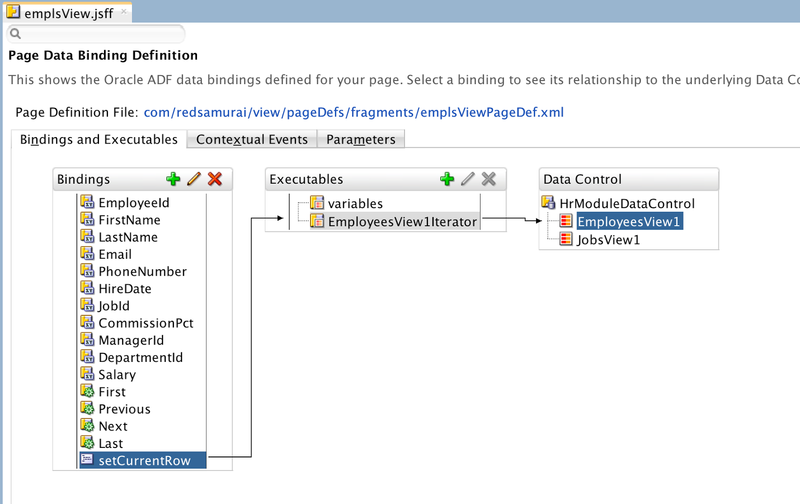 While teaching ADF trainings and talking to ADF developers, often I can see people think about ADF bindings as about some mistery and try to avoid using full potential of ADF Data Control. 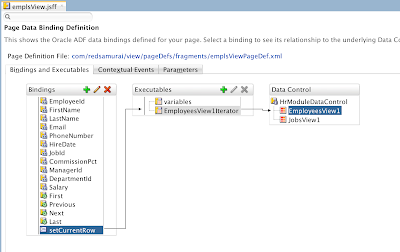 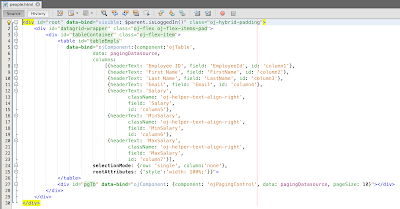 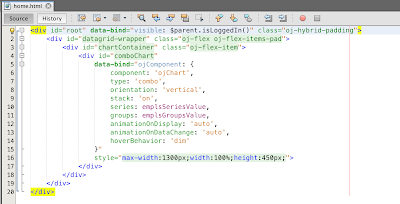 I would like to give simple, but practical example in this post, which describes how to use ADF bindings and access these bindings across different ADF regions. 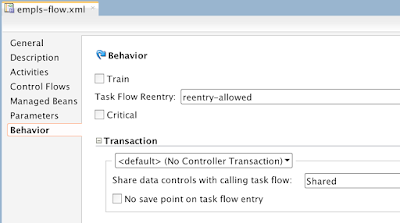 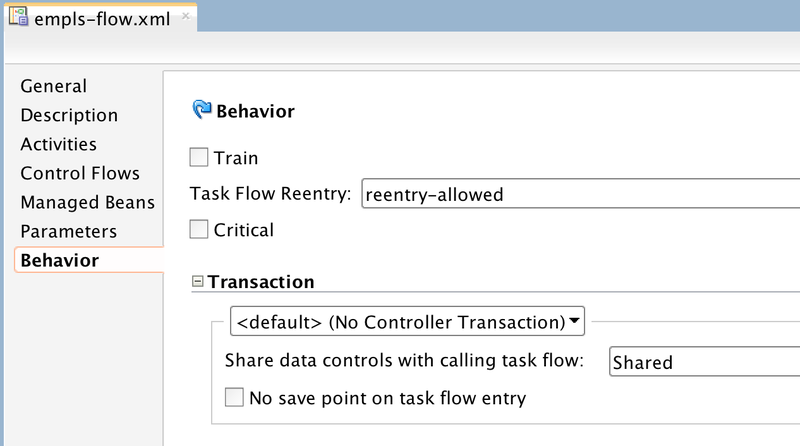 There are two regions (task flows), both are configured with Shared Data Control (means they will share same AM instance). 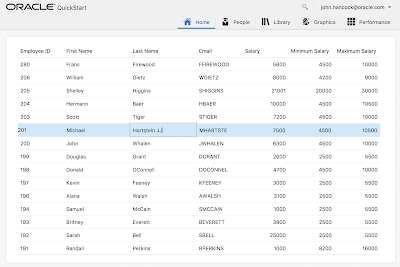 Employees region could change current row. 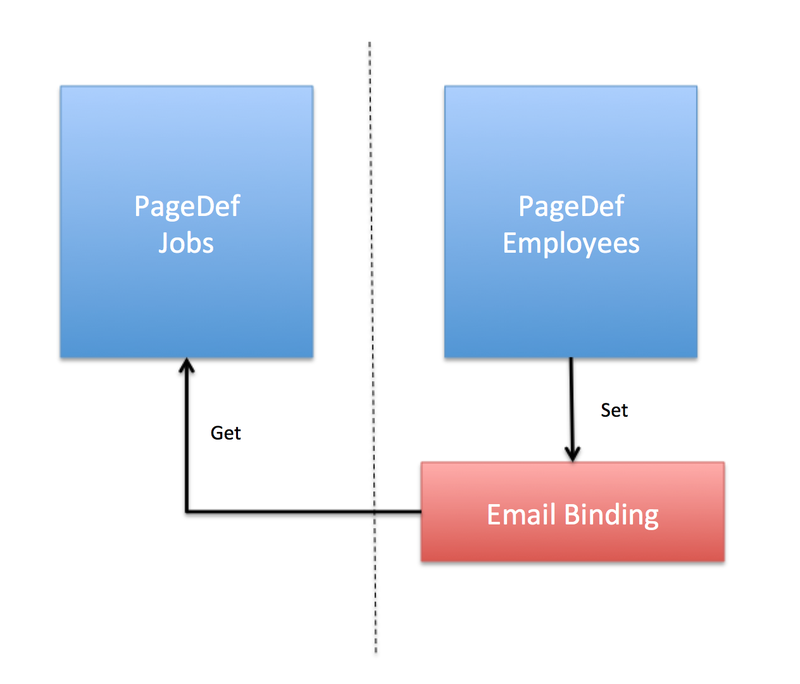 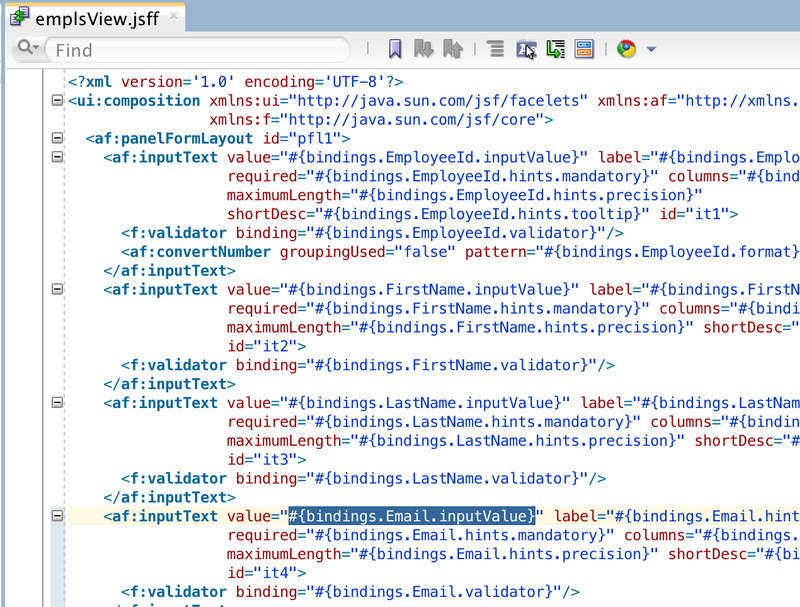 From Jobs region we can access bindings updated in Employees (Email attribute in this case). 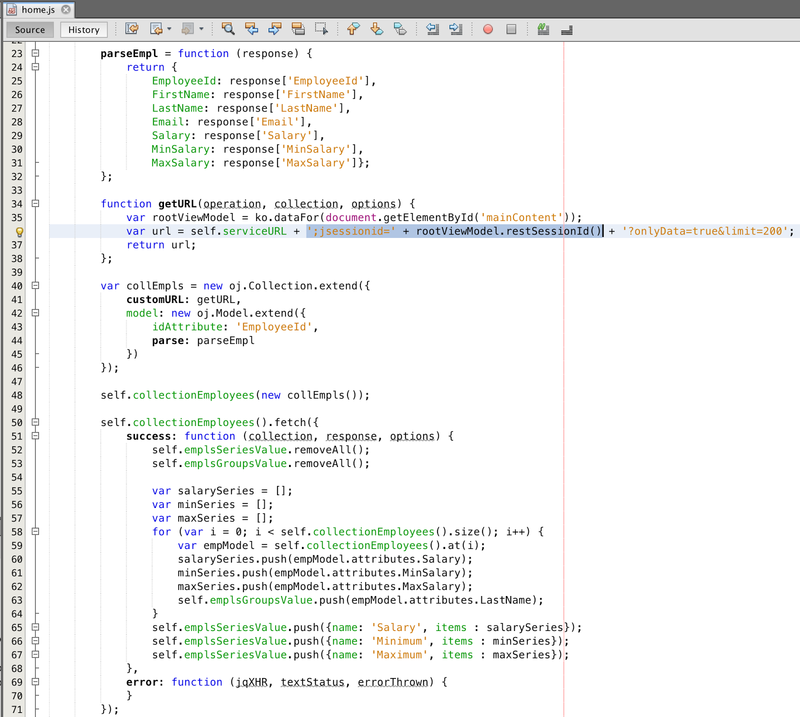 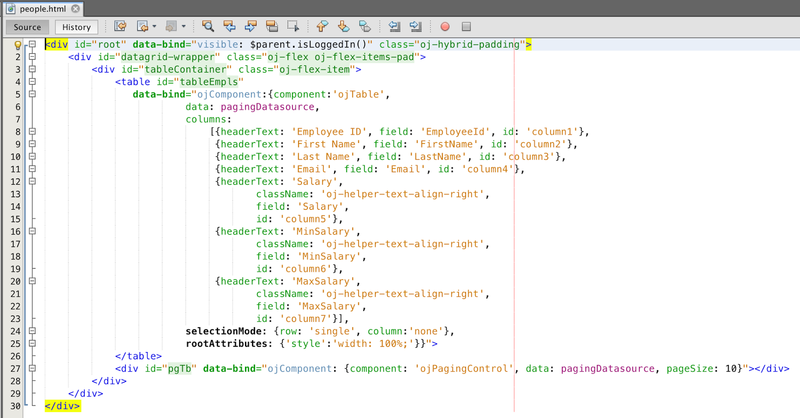 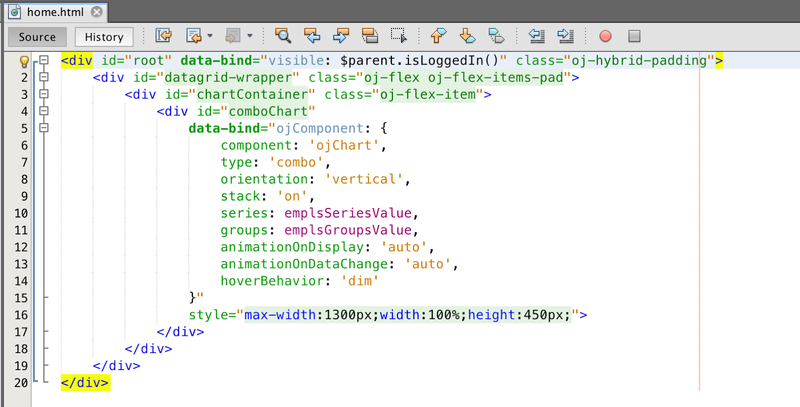 Hopefully this will explain how powerful ADF bindings are. 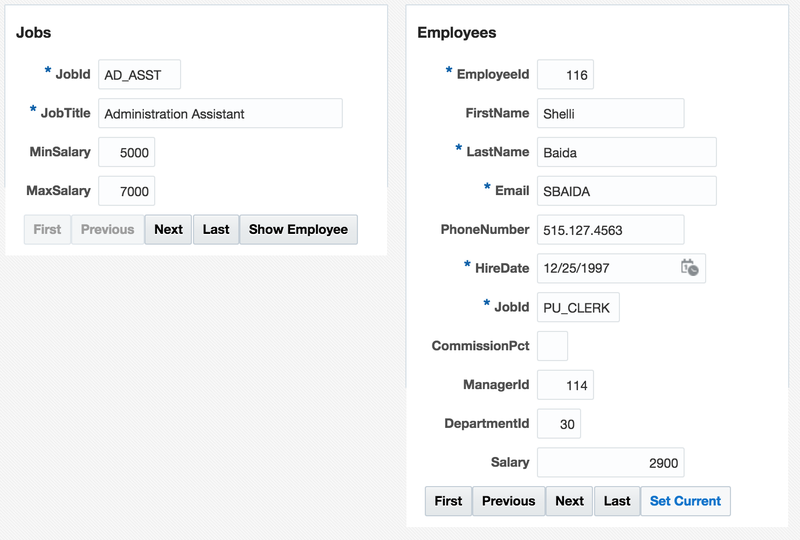 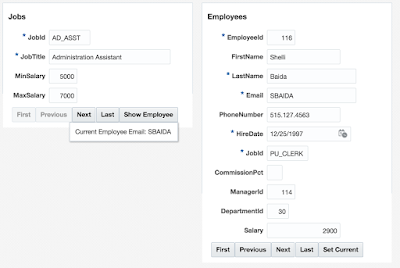 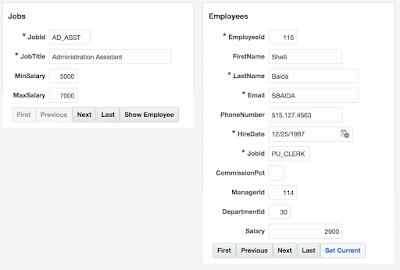 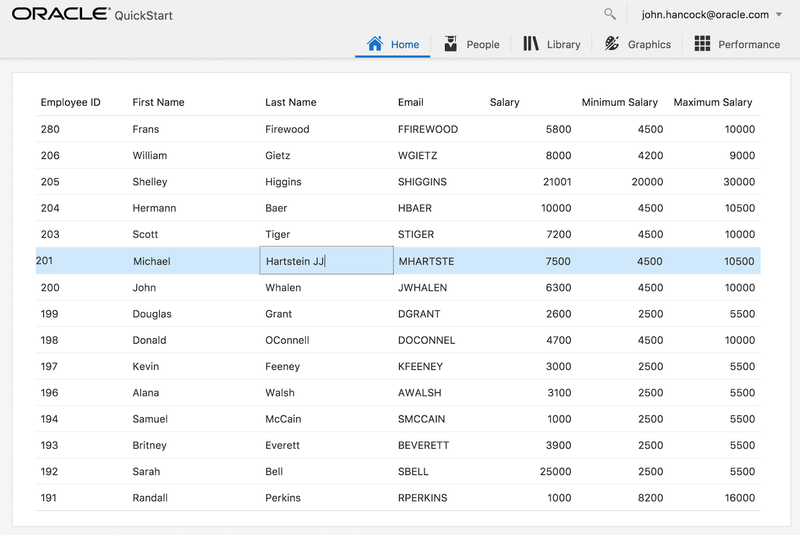 Oracle JET allows to implement inline editable tables. 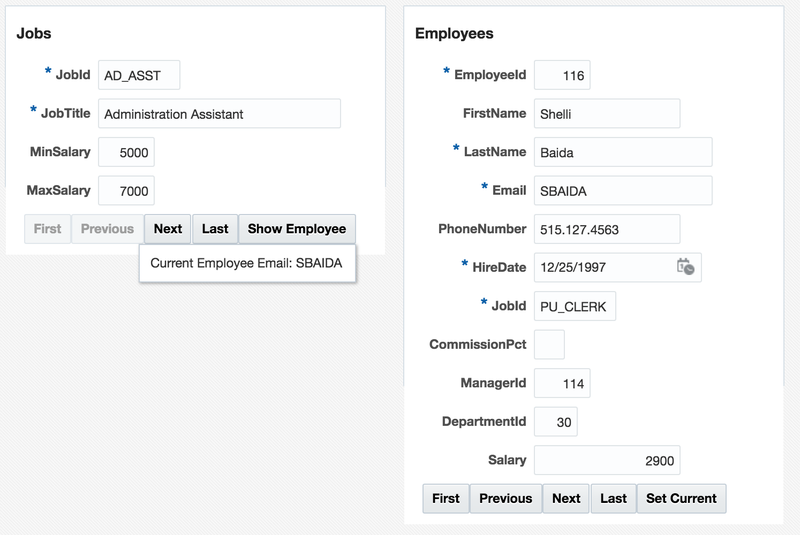 User can double click row or press Enter to switch to edit mode. 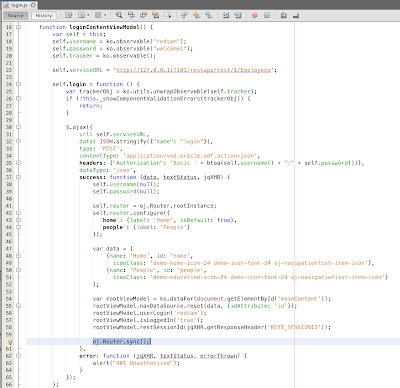 Use Esc to switch back to readonly mode. 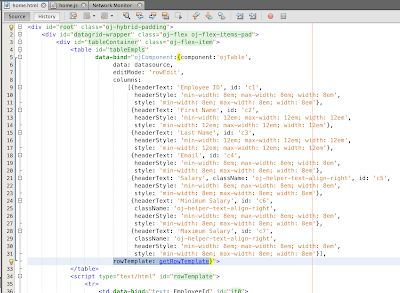 With F2 can toggle between editable and readonly. 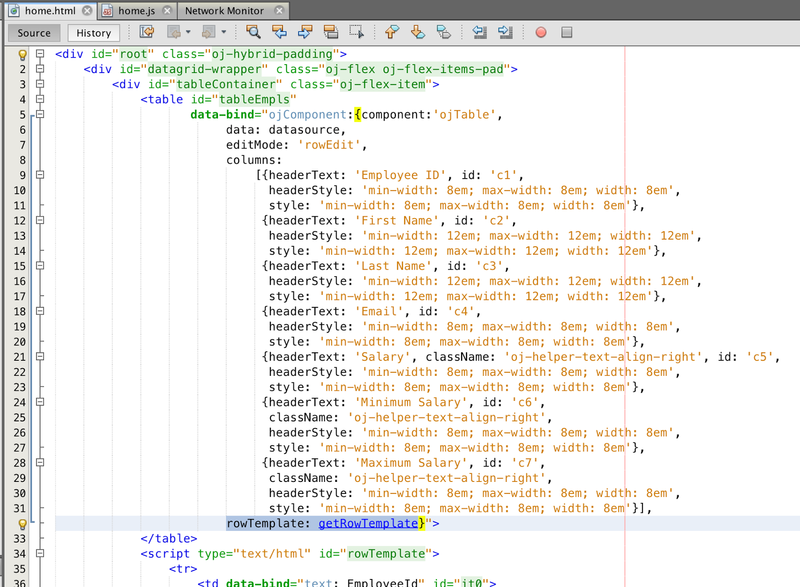 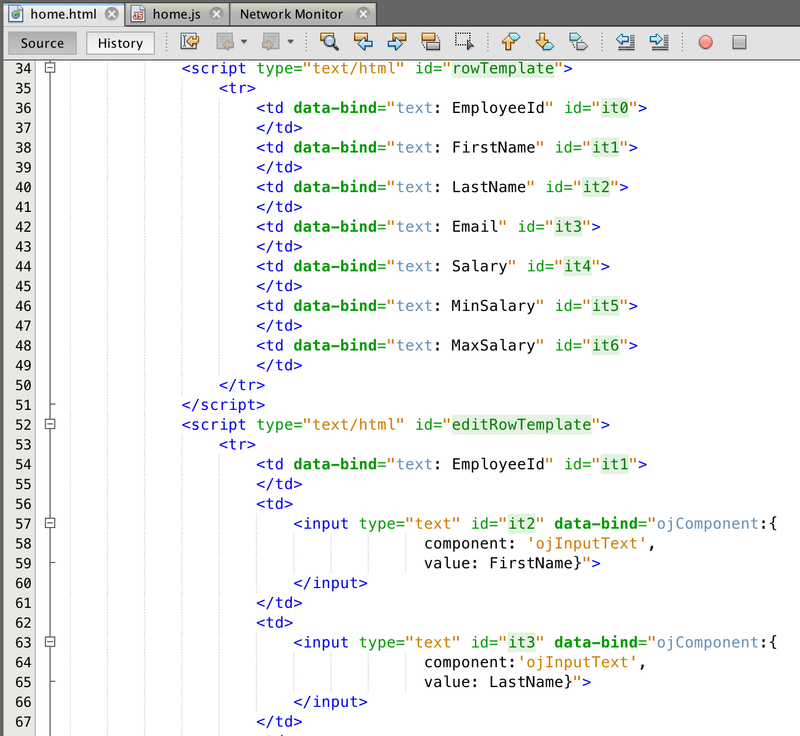 Check it yourself in JET cookbook Editable Collection Table to see how it works. 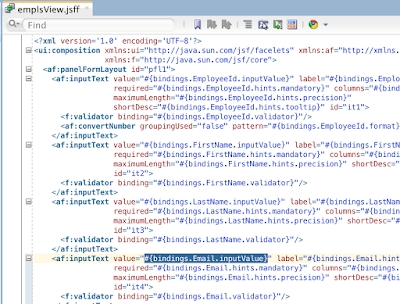 Download sample application - JETEditableTableApp.zip. 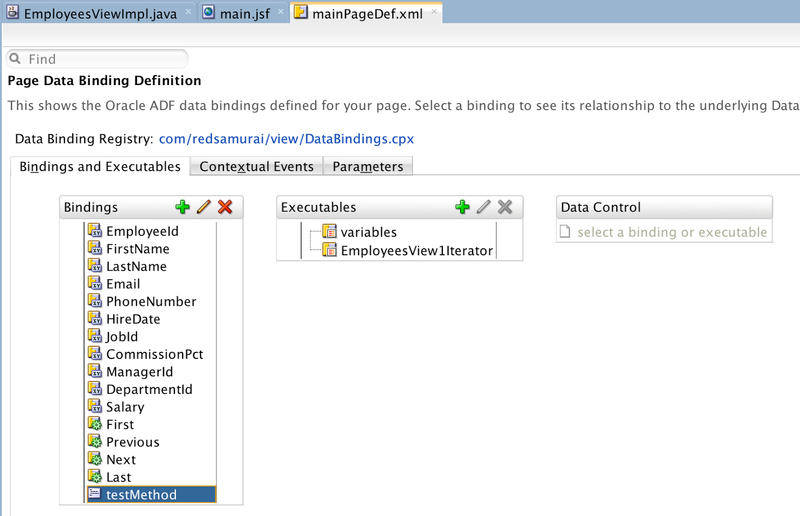 After upgrade to JDeveloper 12.2.1.1 I have noticed issue related to Method Action binding instance name. 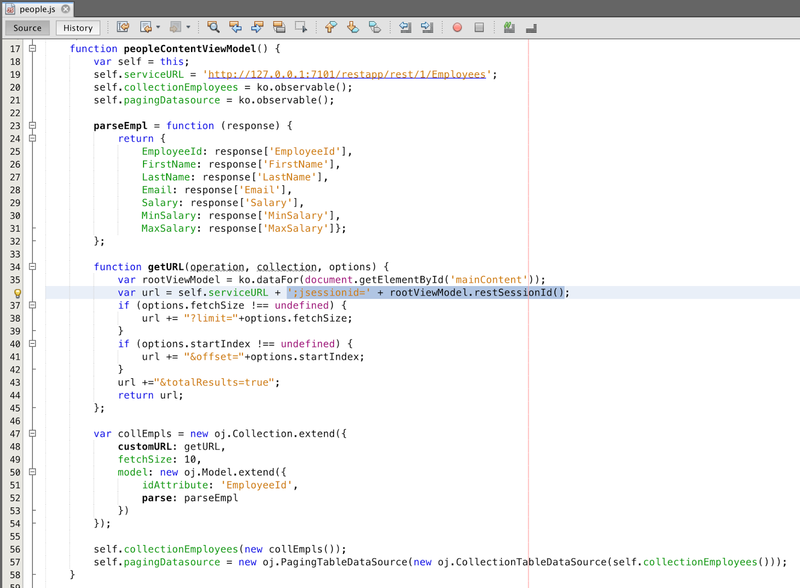 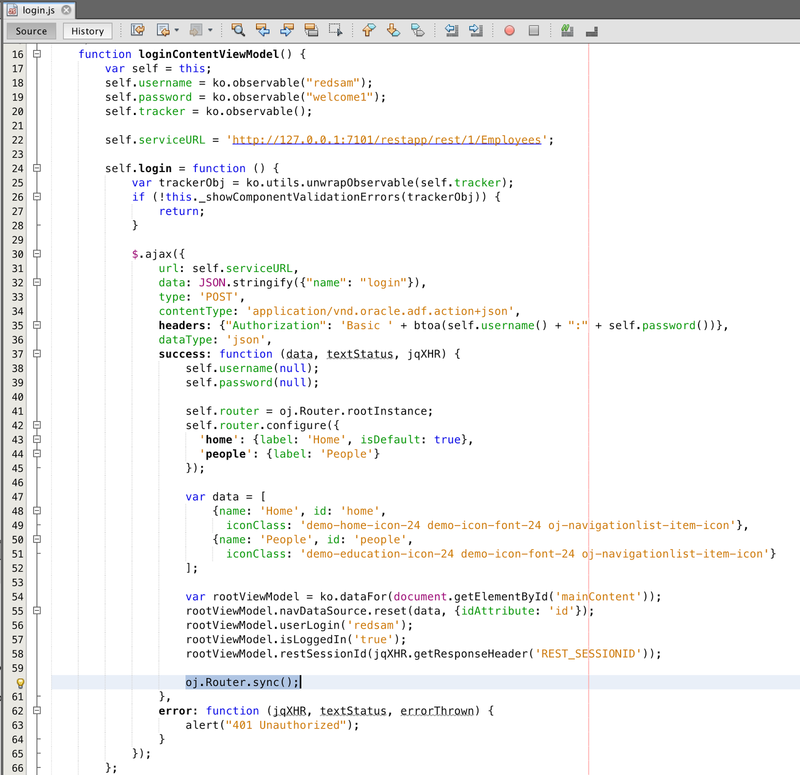 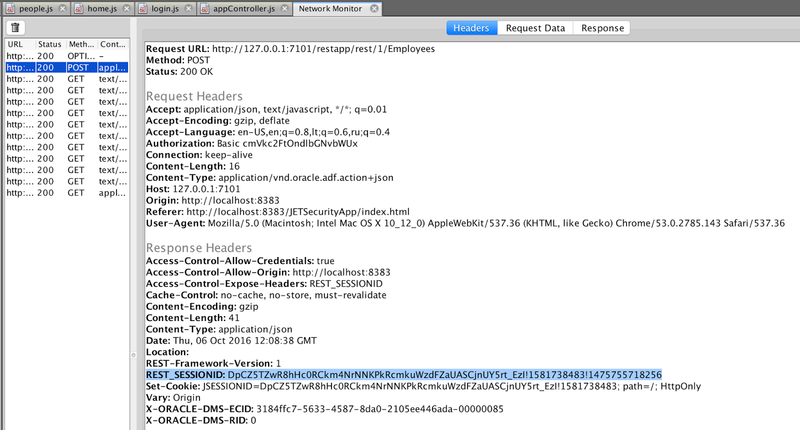 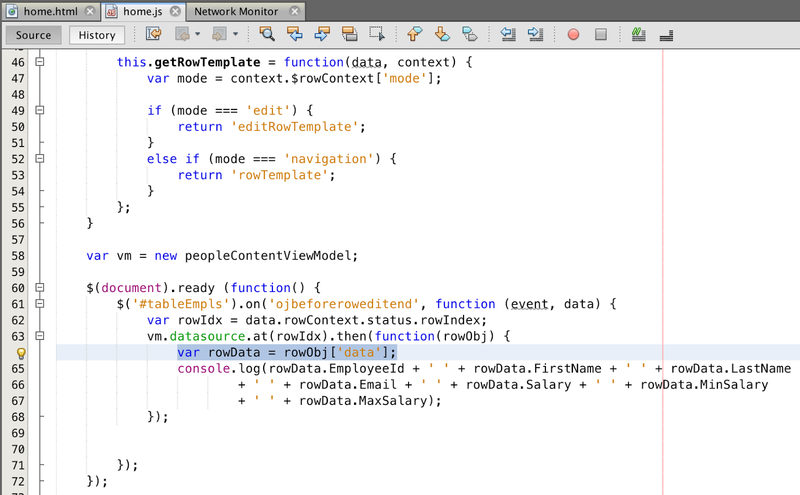 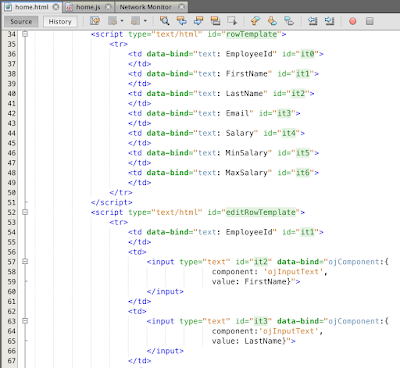 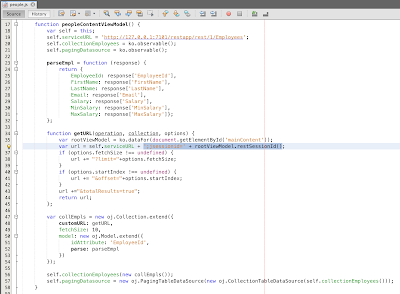 This is not ADF 12.2.1.1 bug, but JDeveloper bug. 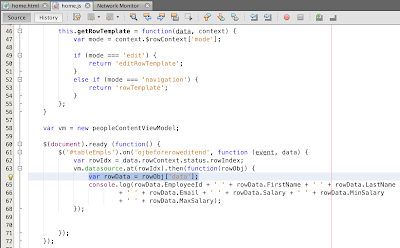 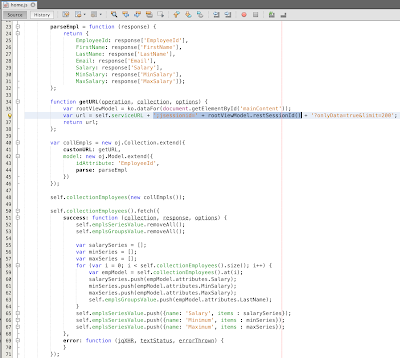 JDeveloper sets incorrect name for Method Action binding instance name. 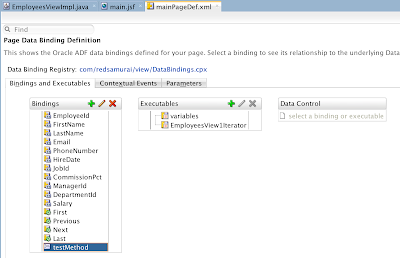 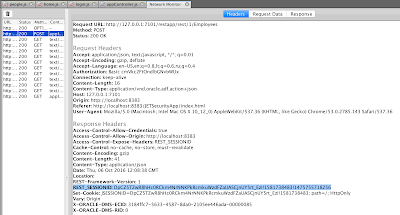 Download sample application - ADFOperationBindingApp.zip.